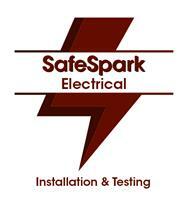 Safe Spark Electrical - Electrician based in Sutton Coldfield, West Midlands. I am registered with the NICEIC as a Domestic Installer and can deal with any domestic installation including Inspection and testing. I specialise in consumer unit changes, outdoor power and Smart home tech enabling you to control lights, heating, sockets and more from your smart device.